Stockists of unique vintage and modern beads from 1960s chunky plastic beads, 1970s wooden beads for macrame and brass charms to Czech glass seed beads and fire polished crystals. 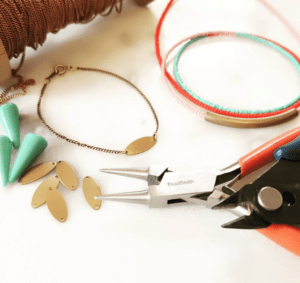 Create your own notable jewellery with our creative tool box! 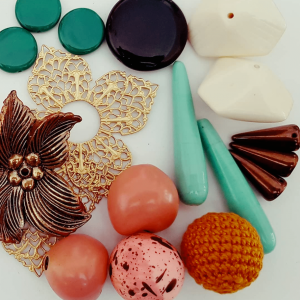 Whether you are a jewellery designer, a hobbyist or just love adornment, you will love creating with our vintage and modern beads which you can buy online or at Sydney craft shows, ICC Darling Harbour in Feb and June. Make it. Wear it. Live it. 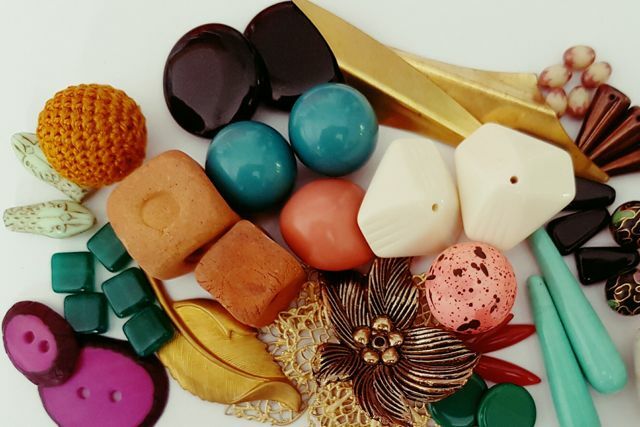 Where we Source our Beads, Stones and Charms? We are committed to sourcing you the best stuff. 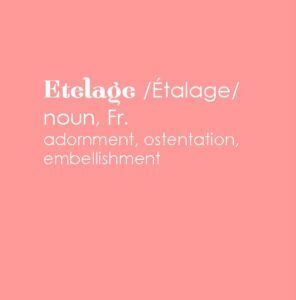 At Etelage, we love adornment. The power of it and the beauty of it. I wander the globe to source the beautiful and the unique from vintage stuff found in dusty basements to modern elements made from time honoured traditions. Either way I love to get my hands dirty in the sourcing process and celebrate the culture, creativity and craftsmanship of handmade. Venice, Italy for glass. They are infamous for their glass production since the 11century, need I say more. Our products aren’t just about being beautiful and unique. They are more importantly about making the lives of the artisans and the communities more beautiful too! We are committed to preserving time honoured traditions in bead making by supporting artisans globally. Sydney Craft Shows – save the dates! 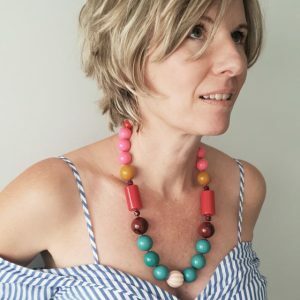 My private tuition jewellery students and others I have mentored, advised and helped over the years have had access to my experience in small biz which in turn lead me to create several resources. Now I want to offer exactly the same to you! The History of Beads – Humans & beads have a long history! Jewellery, much of it in the way of beads is one of the oldest forms of adornment. It is not surprising then that beads are among the most common objects found at archaeological digs around the world. They range from the simplest pierced shells and seeds to technically worked precious metals. Beads therefore provide an unusually rich entrée into the social and artistic traditions of world cultures. Priestesses wore beads. So did warriors, healers and queens. For example, the cattle keeping pastoralists of Southern Africa, including the well known Massai, use bead work as a key method of indicating a person’s status and the stage in the life cycle an individual has attained. Beads are therefore a key element in the aesthetics of adornment that unites them. In Northern Africa, Berber jewellery identifies clan, symbolises wealth, reflects cultural traditions and acts as a source of supernatural and religious power for the wearer. Beads have always been used as a direct connection between Mother Earth, the spirit world and human kind. Beads were the words that whispered in God’s ears for protection and assistance. In Medieval Europe, including England, laws and decrees proclaimed that only certain classes of society could wear certain categories of jewellery? The Egyptians used beads and amulets for protection and abundance. They were also buried in their everyday jewellery and covered their mummies with beaded nets and placed beads under the eyelids of their deceased as a passport to the after world. The Chinese believed jade held magical qualities, thought to help the dead ascend to heaven. Beads were also popular with Native Americans. They used wampum (drilled quahog clam shells), elk teeth, turquoise and glass beads for money. They used beaded images on clothing, cradle boards, horses’ tack and ritual objects to express social status and spiritual visions. Early Buddhist prayer beads were made from the bones of enlightened monks. Shamans wear ceremonial beaded necklaces. Zulu girls write beaded love letters to their suitors. Even today beads have their own unique story. Trade Beads – beads could walk before money could talk! In North America, beads were traded for beaver pelts, and, and information crucial to the Europeans’ survival in a new world. In Asia, beads were traded for silks and spices. In Africa, beads were traded for gold, palm oil and slaves. It is not surprising, then, that when Columbus set out for India he took along trade beads as a sort of universal currency. Those beads were not, as we may think, offerings from a superior civilisation to a primitive people. Natives of the New World were no less sophisticated in the manufacture and use of beads than any other human group, and trade networks for beads long predated European contact. Shell beads were particularly prized – an 8,000 year-old string found in Nevada was made of shell from the California coast – and wampum (shell) was woven into belts as pictographs to commemorate treaties and other ceremonial occasions. Wampum as currency was still in use in North America in the early 18th century, as the only universally recognized valuable on the continent. 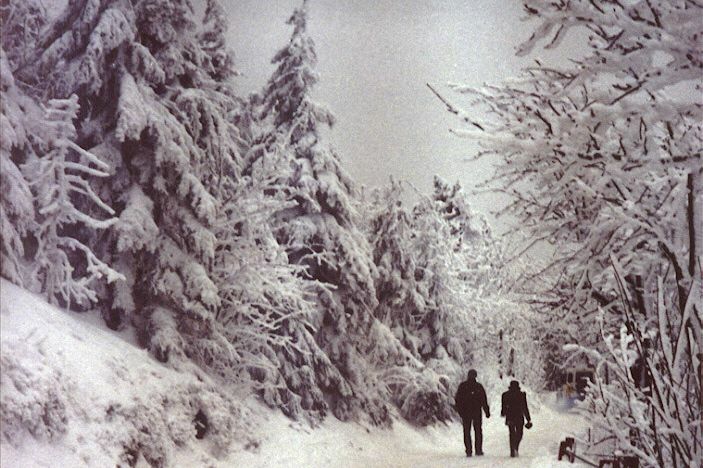 Etelage beads are collected and sourced globally, all of which have a fascinating history, tale and adventure to tell. Some beads are old, some are new, and some are sentimental, whilst others are collectable and valuable. 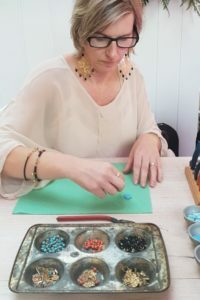 I have sourced beads from the four corners of the globe including Silver from the East, Glass from Europe, Ceramics from Africa and Shell from Oceania from artisans, factories, community trade projects and markets. Some are mass- produced whilst others are still being made using time honoured ancient traditional techniques. Not only is the source diverse but the materials shapes and colours available on the global market are extraordinary. Our English word ‘bead’ comes from the old English (Anglo Saxon) ‘gebed’ meaning ‘prayer’, because of its association with the use of beads for prayer throughout the ages. Muslims, Buddhists, Hindus and Catholics all use prayer beads or malas or rosary beads. 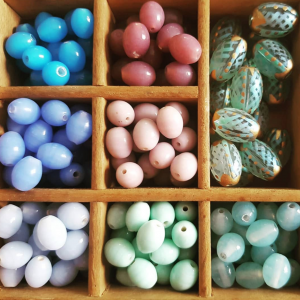 The shorter Oxford English dictionary defines “bead” as a small perforated body, of glass, amber, metal, wood etc., used as an ornament.’ This gives us a starting point however beads can be anything – and almost anything can be a bead. Craft ‘items lovingly made with the human hand from raw materials with traditional craftmanship’, It can be functional as well as decorative, often with a great story behind it. A new term ‘the new design’, represents us the craftsperson, hobbyist, artist, designer and artisan. 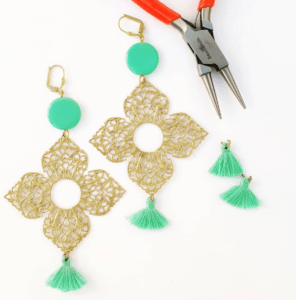 This is a relatively inexpensive hobby with only a few tools required to get started. 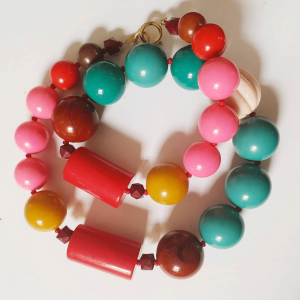 Beads can be easily stored and are easily portable. So why not be a part of the craft generation embracing traditional skill and adding a modern interpretation?